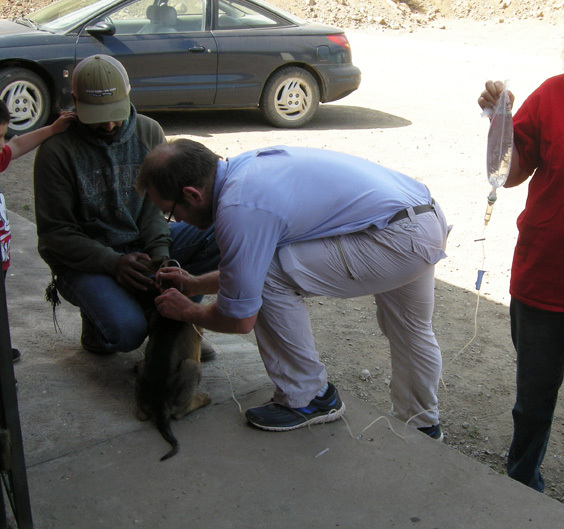 Vets from Mesa, Arizona traveled to La Mision, BC, MX and administered vaccines to pets of local Mexicans. 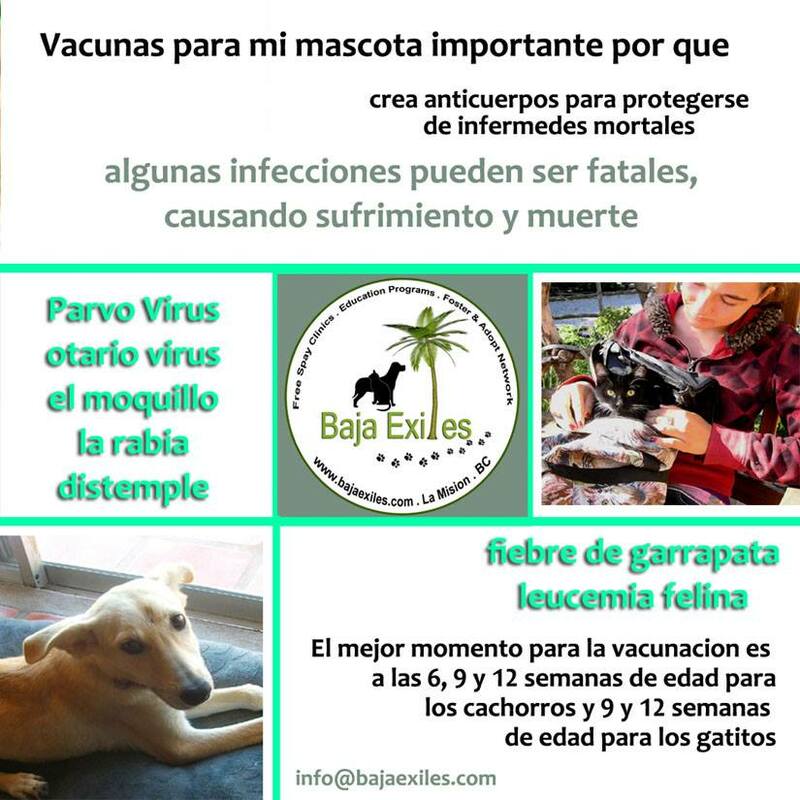 Baja Exiles and VIVA (Volunteers for Indigent and Vulnerable Animals) sponsored the clinic to reach local Mexicans who may not have the funds to provide medical care for their pets. At the June 6th clinic 50 pets were vaccinated against two deadly diseases Parvo and Distemper. Dr. Mark Mosbacher saw the problems that existed in Mexico for indigent animals and wanted to help. He contacted animal rescues throughout Baja and traveled from Mulege to La Mision. He offered emergency medical care, spay and neuter clinics and free vaccinations for those organizations who need his services. Most important, these services grow awareness to how deadly diseases can be prevented. Vaccinations offer street animals a chance at a longer and healthier life. Tick borne diseases are rampant in Baja and contribute to many pet illnesses. Flea and Tick medication as well as deworming was offered at the clinic too. The roll up your sleeve style of Dr. Mosbacher gets right to the problems afflicting pet care in Baja even with such basic problems as flea infestations and allergies. Learn more about the work of animal welfare organizations in Baja California trying to make a difference for street animals.